Lonely Planet will get you to the heart of Southwest USAThe Southwest is America’s playground, luring adventurous travelers with thrilling red-rock landscapes, the legends of shoot-’em-up cowboys and the kicky delights of green-chile stew. 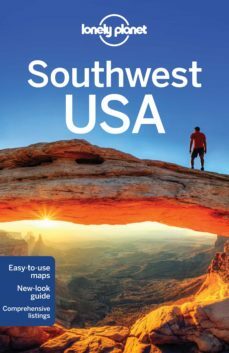 Inspirational images, city walks and recommendations from our expert authors.Planning features and top itineraries to help you plan the perfect trip.Local secrets and hidden travel gems that will make your trip unique.Plus Route 66&scenic drives, outdoor activities, Native American feature and a guide to Southwest cuisine. Coverage includes: Planning chapters, Las Vegas&Nevada, Arizona, New Mexico, Southwestern Colorado, Utah, Understand&Survive chapters.